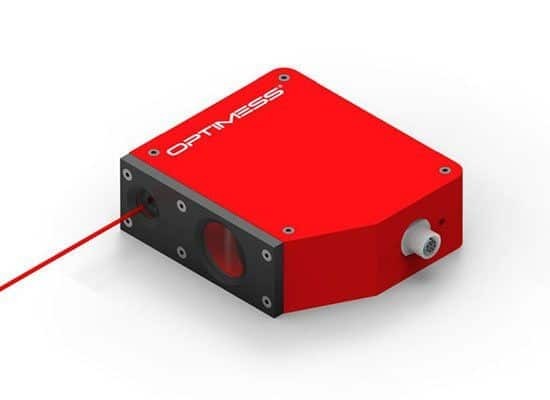 OPTIMESS 1D optoelectronic laser sensors cater for contact-free distance measurement. Thanks to the very large palette of measuring ranges, from 4 millimetres to 2 metres, temperature ranges of -40 to 70°C, and the robust design, the sensors – which work on the triangulation principle – are extremely versatile. Whether for measurement of vibration or thickness, the measurement of parts, or inspection of surfaces, OPTIMESS sensors are the first choice when it comes to reliable measurement. Even reflective surfaces (such as glowing, molten metal) or direct sunlight have no impact on the measurements. The typical measuring rate of the sensors is from 1 to 100 Hz; special requests with regard to measuring range or housing can be accommodated on request.